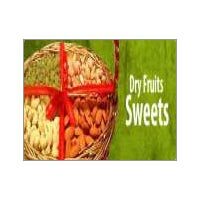 Anjir Dryfruits Katli 250gm, Dry Fruits Sweets. Stay confident for the delivery schedules with us as we are recognized for making on-time deliveries. 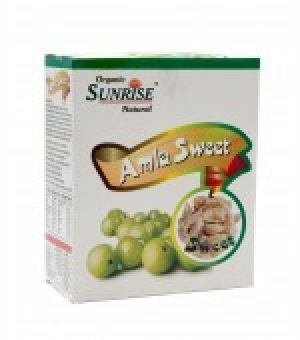 As, our organizations is a suppliers of dry fruit sweets; purchasers can place wholesale orders for it, and get them at the lowest prices. 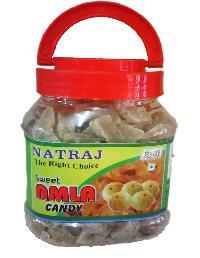 We are offering dry fruit sweet. 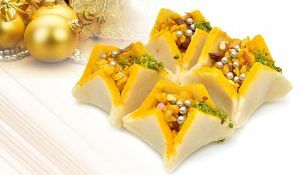 Badam Lotus A truly ingenious way to shape sweets, Badam Bake's taste shall leave you desiring for more. 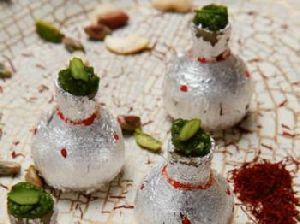 We are involved in offering excellent quality of Dry fruit sweets made up of best of the ingredients to bring sweetness to all your occasions. 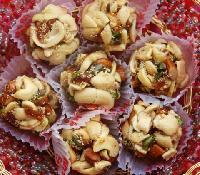 Dry fruit sweets We are specialist in preparing highest quality Kaju Barfee and through continous experiments and innovation we bring to you this box of variety of Kaju barfee or Kaju katli with unique flavours and unforgettable taste. Order online and relish the new flavours. 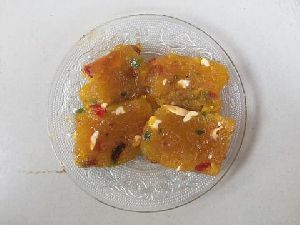 Prepared from handpicked good quality Cashew, Chironji, Badam, Pista and pure Nandini Ghee, the dry fruits barfi is a tasty, healthy and wholesome treat for the whole family. 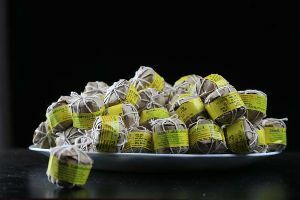 Available in 250 g pack. Kshema Fresh & Naturals India Pvt. 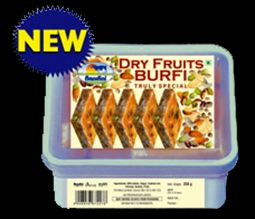 Ltd.
We are a high-flying name when it comes to superlative dry fruit sweets! 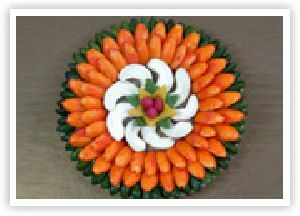 The company is located in Rajkot(India) and affirms to offer the entire array of products to every nook and corner. 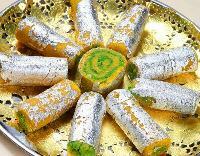 The finest Cashewnut, Sugar, Permitted Colors and Silver Leaves (Varakh) go into making this mouth watering Mithai.Punjabi Ghasitaram Halwai, spreading sweetness since 1916. 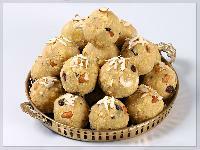 Ghasitarams is a well renowned name for traditional Indian sweets and namkeens. Clients can stay rest assured for undamaged delivery of the products as we strictly use only quality packaging material. Thus, we make sure that the products are 100% safe from the destructing factors. Owing to our sound quality system, we are capable of carrying out strict quality analysis of the product basket. 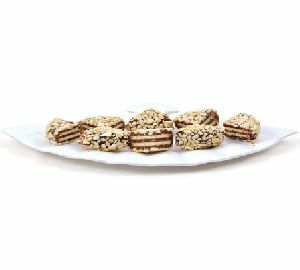 The rich crunchiness of pistachios, almonds and cashew nuts and softness of figs and dates come together to create a range of sweets that’s delightfully delicious and an all-time favorite! 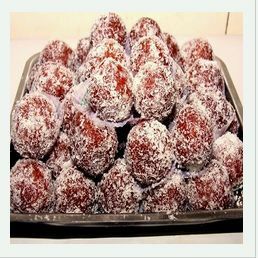 For more than 6 decades, Vadilal Champaklal & Co., has been providing Quality Dry Fruits, Farsans & Mithai's which is ideal for house hold use, festival and corporate gifting. 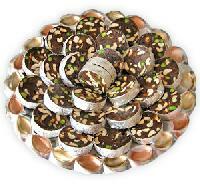 We offer all type of dry fruits sweets. Pack Size : 1kg, 2 Kg, Etc. 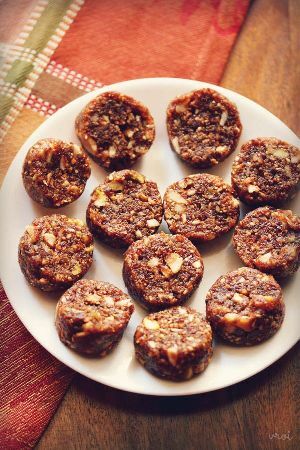 A sinful balance of Afgani Dates, high fibre diet cookies and cashew makes this sweet a yummy and irresistible .Richly loaded with cashew Nuts, this delicacy is the ultimate bridge between health bar and Indian sweet. 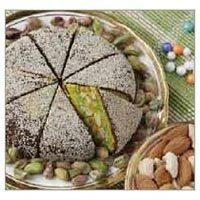 For health conscious people which want to devour a big bite of choclate but without sugar or calorie intake. 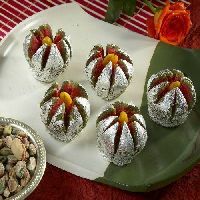 Our special laddoos are made of cocoa powder and dry fruits. 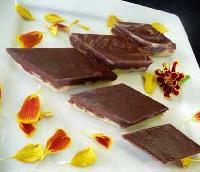 The special part of that it is free from sugar and oil and is naturally sweetened by dates. Try it to know more about it. 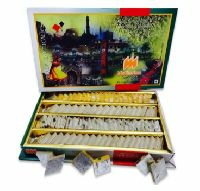 We are an established sweet making manufacturer and supplier with best in class quality and on time delivery. Largely known for its special taste all over India. 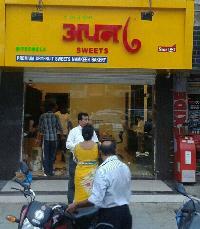 We deliver to you the best Halwa made carefully with best quality materials.